This is a question that we get a couple times a month from people interested in our Keto Bootstrap System. 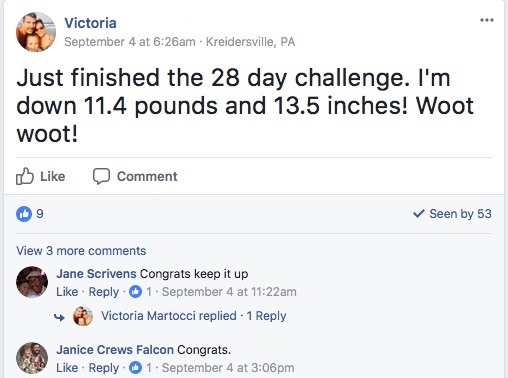 If you’ve ever gone on a weight loss journey then you know it is a crazy rollercoaster. Especially if you are trying to lose weight if you weigh more than 200 lbs. Some people are fortunate enough to only ride the ride once. Most of us aren’t as lucky. You start the weight loss journey with excitement and optimism and then at some point, usually early on, you make a mistake. Maybe you eat a cupcake that you didn’t want or have a night out with friends where you indulge in too many libations. It’s so easy to fall off the wagon and it can seem like it is impossible to get back on. For people that are overweight, the journey can be even harder because what you want and what it takes to get there can seem so far way apart. It’s easy to turn to one of the miracle diets but many people quickly find that once they stop them they gain weight faster than they lost it. What’s important to have in your weight loss journey is knowledge. If you understand your body and why it is adding on weight then it becomes much easier to figure out what you need to do to lose it and keep it off. When you understand how what you eat affects your body you find that most of the time you can lose weight without exercising. If you want to lose weight and keep it off you need to consider the fact that it will require a lifestyle change. Losing weight and keeping it off are not two exclusive things. The actions that you take to lose weight are the same actions that you will take to keep it off and that’s why you want to find a process that you will enjoy and keep around forever. Nobody wants to drink lemon-cayenne water for the rest of their life. That’s a short-term fix with short-term results. In this post, I want to talk about how a lot of small things will help to add up to some awesome weight loss results. Before we dive into what it takes to lose weight I want to first talk about your mindset. It’s very easy to do what is needed at the beginning because you are motivated but we all know life likes to throw in some wrenches from time to time. You just never know what the day is going to bring but if you go in with the knowledge that it is going to be a challenge, everything becomes easier. The key is always being prepared for those challenges. What happens when you have a long day at work and are too tired to prepare a healthy dinner? What happens when you don’t have the money for healthy foods? While you can’t prepare for every challenge, you do need to consider how you can overcome them when they do approach. Being prepared is the first step to losing weight and keeping it off. What many people fail to realize is that we gain unwanted weight due to our hormones. It rarely has anything to do with calories or exercise. For instance, let’s take a look at the hormone leptin. It’s the hormone that is supposed to let you know when you are too full to eat anymore. Under normal circumstances, this hormone is released from the fat cells and travels through the blood to your brain, where it lets the brain know that you are full. Sounds like a pretty good system, right? The problem, however, is that many of us consume too much fructose. This is found in large amounts in both fruit and processed foods. The reason why fructose is a problem is that when we consume too much of it, our livers can’t process it so instead our body starts converting it into fats. These fats get sent off into the bloodstream as triglycerides where they get deposited in the liver and elsewhere in the belly. As more fructose is converted to fat, your levels of leptin increase because fat produced leptin. When there is too much leptin in your body then your brain begins to ignore the message it is trying to send your brain. As you might have guessed this leads to more eating which leads to more weight gain. Cortisol, also known as the stress hormone, is one of the biggest problems for women trying to lose weight. The reason why is when cortisol rises it encourages the conversion of blood sugar into fat. This was a survival mechanism from way back in the days when it was always possible to go long periods of time without food. If a famine is approaching you load up on fruits to raise your blood sugar so that it can be converted into fat and later used for energy. The problem with this is that many of us (fortunately) don’t need to store that fat for survival and yet when we stress our cortisol levels rise causing us to store more fat. Less stress can lead to less fat. Exercise is always a good way to relieve stress. We suggest taking a look at Tabata workouts or some yoga for beginners. This one applies to the wonderful women out there. Estrogen is great because it makes women…women. Unfortunately, it can also be one the main reasons for weight loss. When estrogen is at normal levels it helps to control the amounts of insulin produced by your body. Insulin is the hormone that manages blood sugar. When you eat, your blood sugar rises. That’s just your body’s natural reaction. In response, the insulin troops are sent out to lower the blood sugar levels by escorting glucose into three different places in your body. When insulin is being a good citizen it sends a small amount of glucose to the liver, a large amount to your muscles (so you have that super energy), and a small amount (or none) to fat storage. Super healthy people have pancreases that produce just the right amount of insulin. However, when your estrogen levels climb, the cells that produce insulin become strained and you end up becoming insulin resistant. That’s the point when insulin stops transporting as much glucose to the liver and muscles and instead stores more of it as fat. 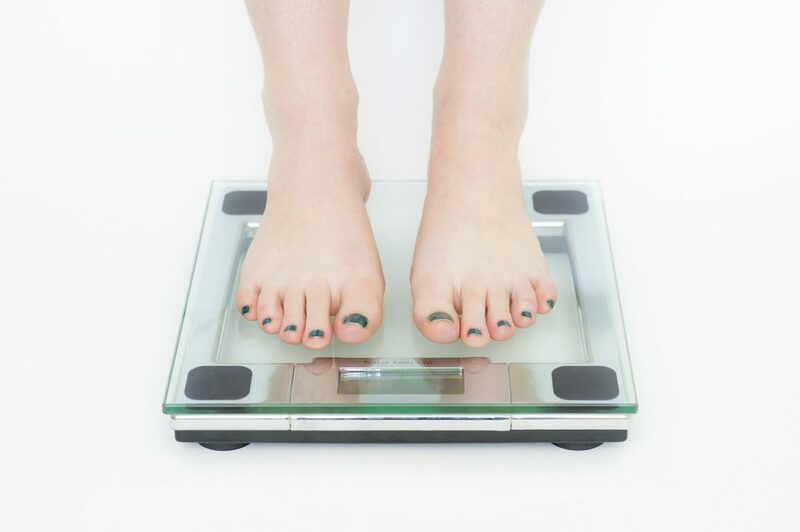 Hopefully, you can see how out of control hormones can greatly lead to increased weight loss. With this understanding, you need to figure out a way to get your body to work under optimal conditions. How do you do that? Let’s find out. Bad carbs can do so much damage to our body that we don’t even realize it. What are bad carbs? Well, if you look at a nutrition label you’ll see a section for Total Carbs. Looking at this label you can see that the total carbs are 26g. That could be good or could be bad. We need to look further. These total carbs are broken up into two sections: Dietary Fiber and Sugars. Our bodies love fiber. It’s needed to effectively process the things we ingest so fiber is good. When food contains fiber you can subtract that number from total carbs and get what we call Net Carbs. You need to be concerned with the Net Carbs in foods because those are the carbs that do damage. If you want to limit the amount of glucose that your body stores as fat then you need to consume less of the things that help to create glucose: carbs and starches. 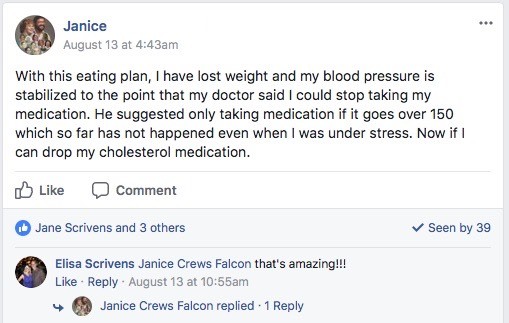 This is why low-carb diets can be so effective. If you love your sodas and sweets try staying away from them for the weekend. You’ll be surprised that just by doing this you can lose a couple of pounds in a short amount of time. In fact, I lose 3 lbs. one weekend just by not eating my usual sweets. Thankfully, there are 100s of low-carb recipes out there that are extremely delicious. Here is where people usually falter when they slowly get rid of most of the carbs in their diets. They don’t replace those carbs with another fuel source. Your body is a machine and it has to run on something. Here is something you might not have known. Our bodies weren’t always sugar-burners. Our bodies used to be pretty good at using fat as our sole energy source. It’s only recently when our diets became really high in carbs that our bodies switched over to being sugar-burners. When you lower the number of carbs you intake on a daily basis eventually your body starts to switch to a metabolic state known as ketosis. When it does this it produces something called ketones which become the new energy cells for your body. In this state, fat becomes your energy source. This can be crazy to wrap your head around because logically consuming more fat means you become fatter, but that only happens when are you also consuming a lot of carbs. A low amount of carbs and a high amount of fats turns your body into an efficient fat-burning machine. You also have to make sure you maintain a moderate level of proteins because you don’t want to lose lean muscle mass. You just want to burn away the fat. Proteins contain the essential amino acids that your body craves. When you go low-carb and you don’t get enough fats into your body starts to rely on the protein. If you end up consuming too much protein your body converts that into glucose (yep) which in turn gets stored as fat. This is what the ketogenic diet revolves around. It is a low-carb, moderate protein, and high-fat diet. It’s what we base our whole 28-Day Weight Loss Challenge around. I’ll talk more about that a little bit later. Let’s continue on with what else is needed to lose the weight. Our bodies are mostly comprised of water. When our bodies don’t have enough water they can’t work as efficiently and our organs switch gears to help each other out. You’d probably be surprised to know that you don’t drink nearly enough water on a daily basis to allow your body work optimally. You should be aiming for between 0.5 ounces and 1 ounce per pound of body weight. That means if you weight 210 pounds you should be getting in 105 – 210 ounces of water every single day. When you start to drink this much water you quickly find yourself going to the bathroom more. That’s a good thing because it gives your body more opportunities to flush out toxins. More water also means more oxygen flowing throughout your body. Increased oxygen leads to increased blood flow meaning more of your ketones get to travel where they are needed which means more energy for you. Ever eat a heavy lunch and just crash in the afternoon? Lose the carbs, eat more proteins and fats, and drink more water and you’ll find that afternoon crashes quickly disappear. If you get tired of drinking normal water then I suggest taking look at detox water. Detox waters are simply waters infused with fruits and vegetables. 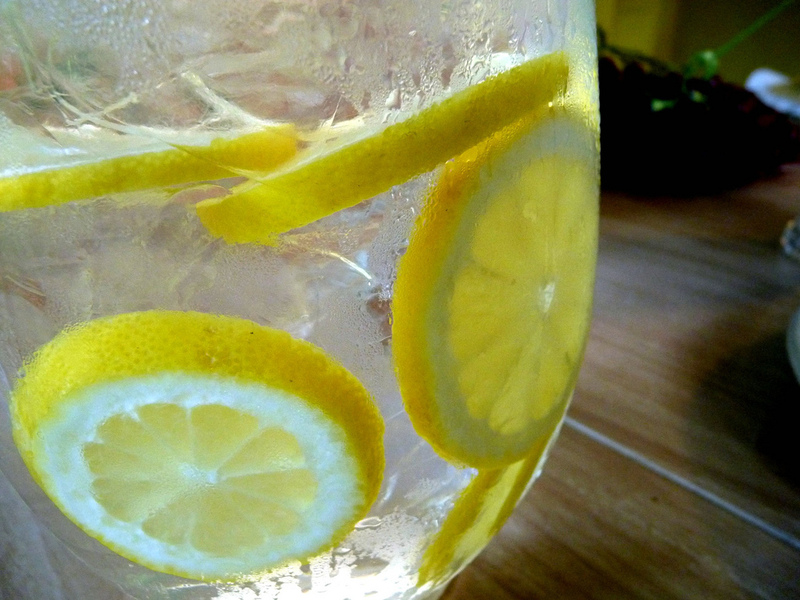 For example, I love to drink lemon water every single morning. It’s almost like my breakfast since I don’t have my first meal until 11 am. It’s refreshing, keeps me energized and helps to suppress my appetite. When you find yourself scrambling for food you find yourself making terrible mistakes. Suddenly that simple lunch turns into #3 and #7 on the value menu. When you plan your meals out and have them prepared ahead of time it lets your mind know that you have everything under control. There is no reason to run out and grab anything bad for you because you have it all laid out in front of you. It’s comforting to know that you have a lunch ready at 12 pm and a snack at 3 pm. When you get home from work you are tired and that’s okay because your dinner is already waiting for you. It might need to be reheated but that’s not a problem. Much better than having to do everything from scratch. The Ketogenic Diet makes this pretty easy. You follow a simple ratio of 75/20/5. What does this mean? It means you figure out the daily calories you should consume and then break down how much of those calories should come from fats, proteins, and carbs. I then sit down and figure out what I need to eat throughout the day to make that happen. Meal planning and approaching food like this also has another benefit. The only time calories become an issue are when you are eating way more than you should or not getting enough. If your body runs efficiently on 2,000 calories a day you don’t need to try and get 8,000 in you. On the other side of the coin, you shouldn’t just aim for 20 either. It shouldn’t matter if a meal has 700 calories as long as it is helping you hit your macros (fat, protein, carbs). The only time I mentioned exercise was when it pertained to reducing stress levels. When you get started on your weight loss journey you shouldn’t make the mistake of diving into an exercise program AND change your eating habits at the same time. That’s just too much of a shock for you. It’s hard enough to stick with eating the right things for a week and you’ll need all of the willpower you can muster. When you put yourself through a crazy workout your willpower levels decrease leaving you more susceptible to doing things you shouldn’t be doing. If you really feel like you need to get some exercise then go out for a nice 30-60 minute walk. This won’t melt away the fat instantly but it does help to keep the metabolism running and is also a great way to clear your mind. Once you are comfortable with your eating routine and your body has adjusted properly then you can start to look into more intense workout plans and tackle them. Many times when we embark on a weight loss journey we neglect to consider the impact that the people we hang around have on us. If we are trying to lose weight and our friends want to continue to do daily happy hour sessions then what happens? Are they supportive of your goals and understand that you can toss down 6 chocolate martinis or will they give you crap and call you a party pooper? Trying to lose weight is hard enough. Trying to lose weight with zero support can sometimes be impossible. It’s important that your friends and family become a support system to help you in those times when you might be faltering. If they aren’t willing to help you out then they need to sit on the sidelines at this time while you go about doing your superhero thing. If losing weight was easy then everybody would do it. What makes it difficult is that it means you need to start changing your habits and those habits have been around for a while. Nobody intentionally eats to damage themselves but millions are doing it every single day. Just understand that the journey is not impossible. Anyone can do it, especially you and we want to help. That’s why I created the 28-Day Weight Loss Challenge. It tackles all of the points that I talked about in this article. It revolves around the Ketogenic Diet and makes it easier to lose weight by doing the heavy lifting for you. All you have to do is follow through on your end. Enjoyed How to Lose Weight if You Weigh 200 Pounds or More? Share it with your friends so they to can follow the Thrive/Strive journey.